When planning a holiday, there is nothing daunting like the thought of having to drive yourself everywhere. The fatigue will definitely make your trip less enjoyable. If you are travelling as a team, it would be wise to hire a minibus as it can accommodate more people. At Minibus Hire Reading, you can get a minibus with a driver to make your trip more thrilling. There are many great things about hiring a minibus with a driver, and some are discussed next. A driver gives you all the freedom to sit back and simply relax during the trip. This means you don’t need to worry about whom to select as your designated driver when you go out to have fun. You will be more energised to have more fun without having to worry driving at odd hours to get back to your hotel. Let our drivers at Minibus Hire Reading do all the driving and leave all the resting and having fun with you. Tourists visiting the UK prefer to go for day trips, especially if they are travelling as a larger group. Having to go as a group requires a minibus or coach, yet some of the UK roads can prove to be very narrow to navigate if you choose to hire a big coach. However, a minibus can easily manoeuvre through the Reading city streets, and they are economical than using public means. 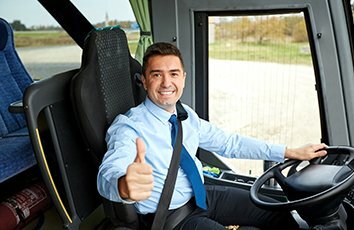 One good thing about hiring a minibus with a driver is that they know the best routes to take without getting lost or stuck in traffic. When you have hired our Minibus Hire Reading with a driver, you have the power over your travelling schedule unlike when you choose public means. This means you don’t have to follow the public transport set times, but instead you can go wherever you wish at any time since the driver will just have to pick and drop you off. This will ensure that you and your friends get to see or do as many things as you wish. Contact us for a minibus hire with a driver and let’s drive you anywhere you like.